We understand that caring for a loved one with Alzheimer’s disease or a related memory loss is a difficult and challenging experience. We also understand that the decision to place a loved one in the care of others is perhaps the most difficult decision you will ever make. Our Special Care Centers are designed to help ease your mind. Our philosophy of care is focused on the knowledge that to provide the care and support our residents need, we must know and understand dementia and the ever changing impact it has on their ability to understand their world. 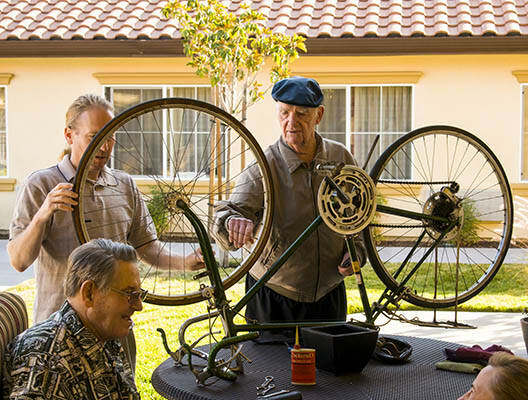 We must also know each resident's unique life story in order to create moments that are meaningful to them personally. We strive to provide a warm, caring and supportive environment where our residents can experience daily routines and familiar faces. Our programs are designed to add meaning and value to their lives and to help them feel comfortable in their environment. Throughout their stay with us, our residents' health and well-being will be a shared concern among their family, friends and our knowledgeable staff. As partners in care, we will work together to build a plan that supports their independence and provides them with the sense of belonging that is so important to all of us.